Last November, we reported that Oms/b (on 45th Street between Lex and 3rd) had been replaced by a new Café Zaiya location. Now, that same location has changed again to become BentOn Café. 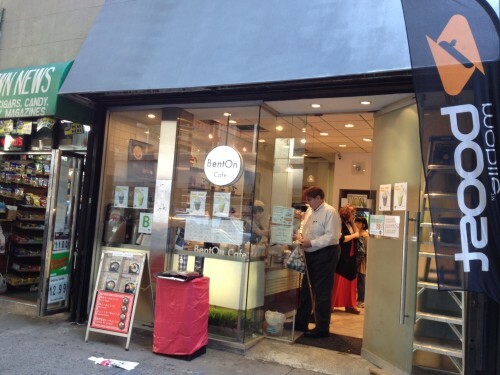 After sleuthing around on the Internet, I found that the Café Zaiya and BentOn Café companies merged back in 2012, but I guess someone decided that the BentOn brand was better for this particular location? 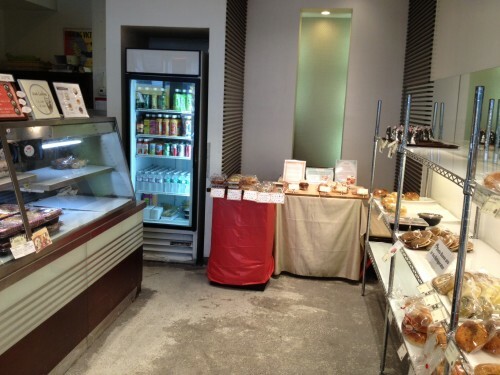 Like Café Zaiya, there’s a large variety of food available here. 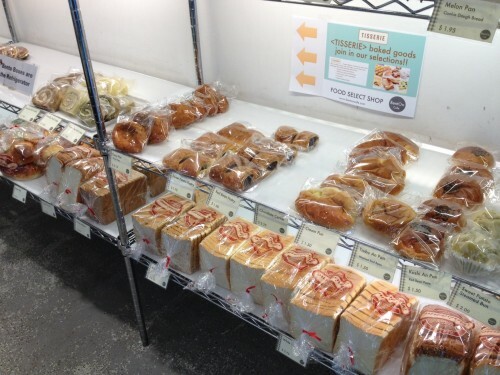 The space itself is rather small, but BentOn still offers a whole bunch of pre-packaged sandwiches, bento boxes, desserts, and other Japanese grocery items. 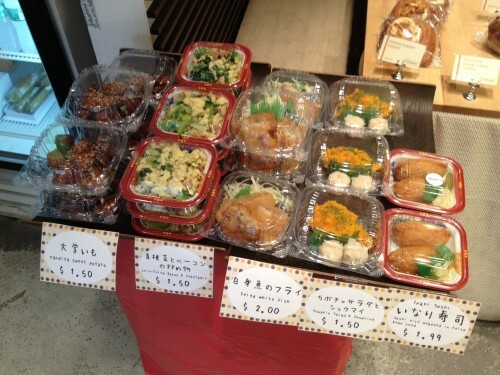 The bento boxes are reasonably priced and are changed up on a daily basis (there’s a calendar at BentOn’s website that details the menu each week). The extent to which the bento menu changes every day is really quite impressive; it’d take forever to try everything that this place has to offer. I ordered the bento box A for $7.25, and on that particular day, it included fried chicken, salmon teriyaki and some mysterious sides. The salmon was not quite as a flaky as I would have liked, but the flavor was good. The chicken was fried, but not too heavy, and tasted delicious. There was a slimy, grey dish on the side and a light, creamy one too. I honestly had no idea what these were, but they tasted like seafood (maybe crab of some sort?) and were totally enjoyable. There was also a generous amount of rice and a few veggies mixed in. 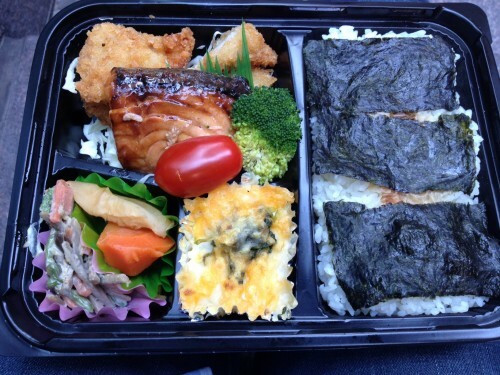 Overall, I was satisfied with everything and would definitely order another bento box sometime. Obviously, this stuff is all pre-packaged, so it’s not as fresh or warm as possible, but given the price, the portions, and just the array of flavors on one plate, this is pretty easy to overlook. BentOn does have a kitchen in the back where some items are made to order, available every day. 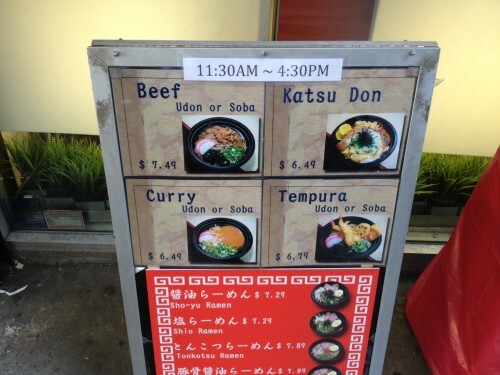 They make a few different udons, sobas, ramens, and a katsu don dish, all at admirably low prices. I went for the katsu don, which is basically a bowl of egg, rice and fried pork cutlet. So good! For $7.07 after tax, this is absolutely a great value – the portion size was enough to keep me happy. Unlike the bento box, everything in this bowl was hot and steamy. There was a consistent soy sauce-like flavor in every bite and the rice was sticky enough that even I could eat it with chopsticks. Also, there was a ton of egg in this thing, including delightful little yolky bits. The meat itself wasn’t life changing – it was a bit tougher than ideal – but it was hot and fried, so I can’t really complain. 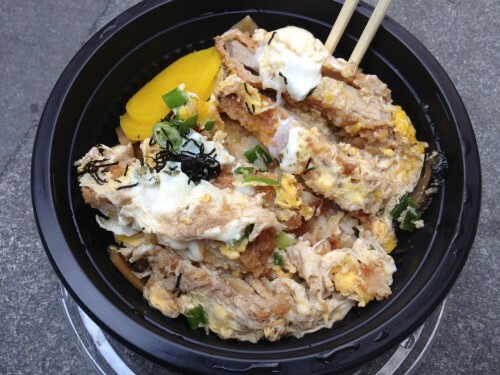 All in all, the katsu don was super tasty, filling, and affordable. 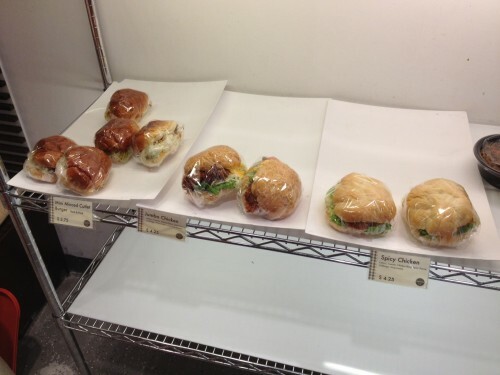 So, BentOn Café… the variety in the menu from day to day is terrific, the prices are low, and the portions are solid. Of course, there’s going to be some tradeoff in quality with bento boxes and katsu don this cheap, but BentOn hits a nice sweet spot. Plus, I like having a healthier option in my lunch repertoire (at least compared to the sorts of gut-bombs I usually opt for). I’m sold. Posted by Chris Thompson at 11:15 am, July 1st, 2013 under Cafe Zaiya. “mysterious sides” ? c’mon that be THAT white guy…. it’s all about the “sides” in asia. I enjoyed the sides! Just can’t tell you what they were… should’ve paid more attention to the menu. I loved OMS/B, and liked Cafe Zaiya only slightly less, so I hope BentOn is on the same level as Cafe Zaiya. Bento is meant to be eaten at room temperature.